At Children’s Ark Academy, we’re not just about taking care of children’s physical needs throughout the day. 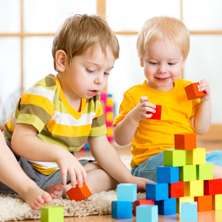 Certainly, it’s our primary concern to keep children safe all day long, but any childcare facility can do that. We want to be the absolute best daycare center around, Christian or otherwise. That’s why we have specific goals for five key aspects of each child who is entrusted to our care every day. Let’s take a look the advancements we want to help each child make and what we can do to help them attain these goals. We think it’s never too young to start telling children about God. It should be a part of every child’s life every day, and we’re honored that parents allow us to be a part of their child’s spiritual upbringing. If a Sunday morning just isn’t enough for you, we’ll be enriching your child’s knowledge of Jesus five days a week. We wouldn’t be much of a Christian daycare and preschool if we didn’t! We always remind infants how much they are loved by God. At our Christian daycare center the decorations are often God-based, so the posters a child seems will remind them of God’s love and how he expect them to act. As children continue to grow, we can teach them directly about the wonders of God and what he does for us. This might be with videos or it could be during storytime. Of course, there are also those times of conflict that are also perfect teaching opportunities for children. A child who is emotionally strong can be strong in nearly every aspect of his or her life. We want every child to know that they are special, not only in our eyes but also in God’s. We realize that each is a unique individual made by God, and helping them understand this can encourage their emotional growth. Of course, we also want a child to be able to be in control of their emotions, balancing them with the rest of the their strengths. In our most recent article we talked about the advantages that children will have in a public setting like a preschool instead of having a nanny. After all, a nanny is only one person, so the youngest kids can get confused as to who their mother actually is. Daycare centers and preschools, on the other hand, introduce each child to multiple adults every day. And because it’s away from home, the whole “are you my mother” aspect just doesn’t come up as often. Socializing with adults (instead of being scared of them) can also help children to be more outgoing in social situations. That, of course, also includes social interactions with other children. Kids love to hang out with other kids. We encourage children to play with each other as much as possible, which means learning how to share and how to treat each other with Biblical principles. Kids can also take what they’ve learned about God and help each other out when tough situations arise. We started off this article by discussing the emphasis we place on the safety of children. We’re going to watch out for their physical well being at all times, whether they’re inside our daycare center or on the playground. Keeping children safe is our moral and legal responsibility every time you drop them off, and it’s one that we take incredibly seriously. Of course, it’s not just physical protect that we’re concerned with. We’ll also be helping children with their motor skills. Children are growing quickly and making the most of their bodies, with gross motor skills (using their arms and legs) and the fine motor skills (using their hands and fingers…and their toes, if they want!) 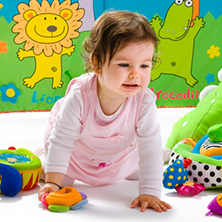 We’ll be with them from crawling to walking and from Duplo to Lego! We’re honored to be the ones to help children grow cognitively, physically, socially, emotionally, and spiritually. 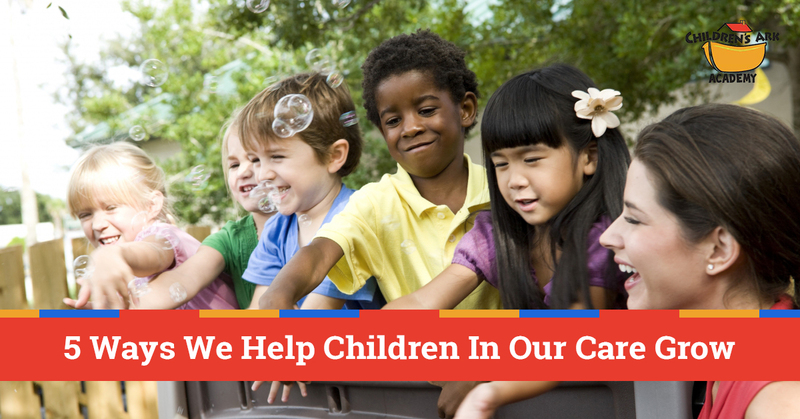 All of these can come together to help your kids make the most of their time at a daycare center or in preschool, and helping them grow is something we take very seriously. 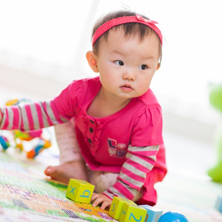 If you’d like to learn more about Christian child care, we’d love to talk with you about it. Click here to find out more!